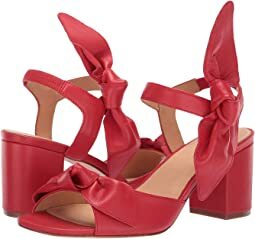 Founded in the 1970’s, the Bill Blass(R) brand epitomizes classic American style, sported by well-dressed women from the Upper East Side to the White House. In 2014, creative director Chris Benz revitalized the brand with his signature carefree irreverence, to dress the next generation of spirited, modern women. Each pair of shoes is an upscale take on a classic 20th-century silhouette – from loafers and heels to ballet flats and espadrilles - the resulting collection is femininity refined. I ordered these and had to send them back. They felt at least a half to a full size smaller.